The new musical La La Land is something that doesn’t come along all that often, a traditional Hollywood musical that appeals to people who don’t like musicals. Ryan Gosling and Emma Stone have made musicals cool again, at least in the short term. Filmmaker Damien Chazelle and composer Justin Hurwitz have swept the Golden Globes and look to have a similar showing at the Oscars on February 26th. If you haven’t seen it, make your way to the big screen asap as that’s where it should be seen. Chances are you will be humming “City of Stars” for about two weeks straight. Andy Caldwell and Chic Hooligan have teamed up with Gina Rene on a jazzy, soulful house cover of “City of Stars” that takes this tune to the dance floor. Magnetic has the exclusive premiere so prepare to put this one on repeat. 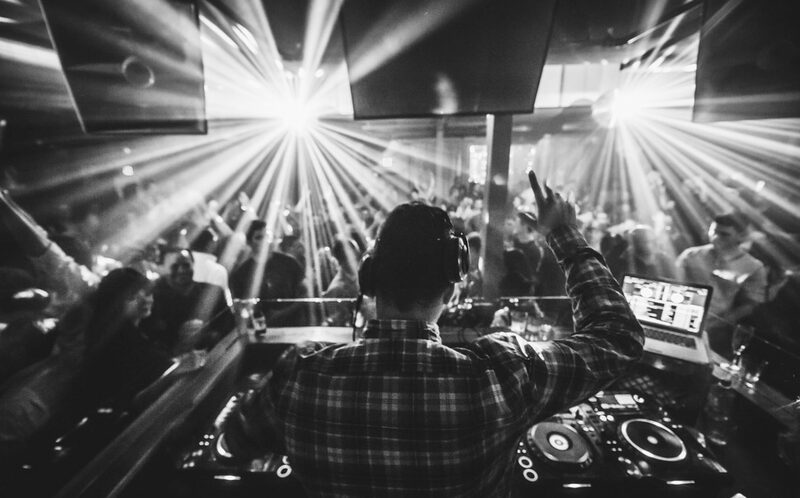 A name that has been synonymous with the underground sound of the halcyon days of deep house, Andy Caldwell continues to push the boundaries at the forefront of today’s dance music scene. Internationally renowned for purveying sonically sublime sound waves over the past two decades, Andy continues to be recognized in 2016 as one of the scene’s most forward thinking producers. His original productions can be found on Toolroom, Yoshitoshi, OM Records, Murk, Ultra and many more alongside some of Dance music’s best including Todd Terry, Kaskade, Morgan Page, Mr. V, Lisa Shaw and Anduze. Andy Caldwell’s ‘Naked’ days may be behind him, but we will certainly be seeing plenty of him in 2017! With a back catalogue of tracks this inspired, it’s easy to see why a talent this bright will always sparkle under the spotlight. Little Empire Management (LEM) signs Andy Caldwell to its roster of artists! Representing music’s most influential tastemakers Galantis, Kaskade, Rufus Wainright, Santigold , Mark Farina, Nicole Moudaber, Caldwell brings his talent, passion and legacy to the Los Angeles agency. With a slurry of new projects in the works including new singles, his side project “ShyPolice” and a feature length movie in the works, LEM is the perfect partner to help Caldwell achieve his lofty goals. La La Land is the musical for people that don’t like musicals, filled with bittersweet romance, nostalgic L.A. moments and incredible music. “City of Stars” one of the film’s shining moments, is a song that stays with you long after you leave the theater. Looking forward to coming back to the Bay this weekend, playing the old 550 Barnevald space now just called Space 550. I’m on from 6:15-8:00 on the outside terrace with Colette, Donald Glaude and many more. Hope to see you there! Add your name to my mailing list for special updates and ticket giveaways!